When we set our plans for my pastoral sabbatical, Holly and I wrote out three key themes, each becoming a banner under which we could design travel, activities, and rhythms. These themes were rest, recreation, and renewal. We mapped out the six-week sabbatical in three successive phases. Of course, since we have four children under the age of 12, these lines blurred a little, and we needed to include more recreation into each day in order to keep them occupied and us sane. But to keep the theme of rest—true soul rest—going throughout the sabbatical, I deleted all the social media apps from my phone and iPad, deleted my work email from my phone and iPad…and used a completely different not-so-smart phone for much of sabbatical The freedom and lightness of being that I experienced was remarkable. We cashed in some airline miles, left our kids with my parents, and headed for the beach! It was the perfect way to kick off sabbatical, and to commemorate our 15th wedding anniversary year. Holly and I spent nearly every minute together, eating, talking, reading, and even running on the beach. We both brought a big novel—she read All the Light We Cannot See, and I read, or at least began reading, The Count of Monte Cristo. But the book that became the highlight of our few days was a marriage book called, How We Love. The authors draw from attachment theory (how we experienced comfort and bonding with our parents) to explore how each spouse brings a pattern of relating and of building attachment and intimacy (or not building it) into the marriage. It sparked some amazing, soul-baring conversations for us. Though we have known each other for nearly 20 years, and have had deep conversations consistently during that time, this helped us go even further in understanding what lies behind our own patterns of relating to each other, particularly in those all-too-familiar patterns that married couples can sometimes get ‘stuck’ in. We highly recommend the book—special thanks to our dear friends who know the authors well and who recommended the book to us. Phase 2: Recreation While we may have liked the ‘rest’ phase to go on, we had to get back to our kids, and we were excited to make some memories together as a family. After a few days at home, we loaded up the car and headed on a two-week road trip. We drove up to Rapid City, South Dakota, to spend a few days seeing Mt. Rushmore and few other notable attractions in the area. That was a blast—and quite a spectacle to behold. 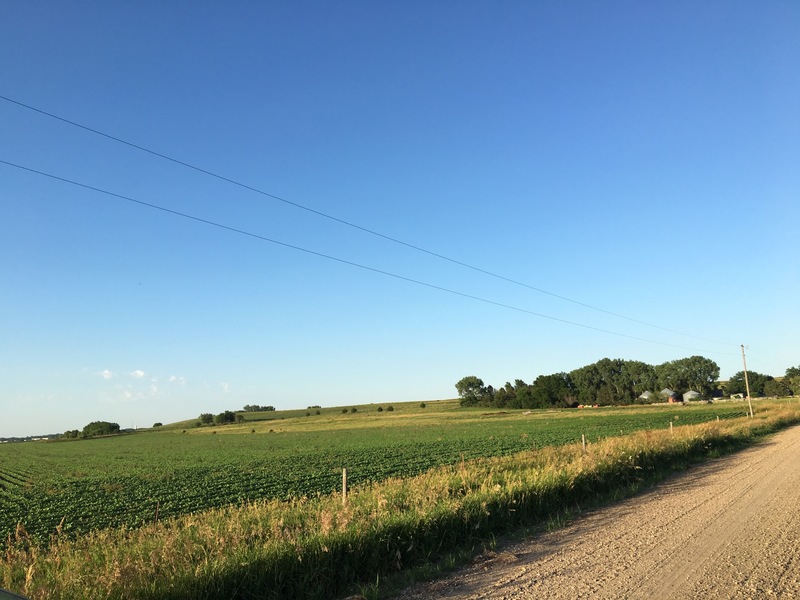 From there, we drove through the Badlands to South Dakota (including a stop to the Wall Drug store) to the northwest corner of Iowa, where Holly is from, and spent just under a week at the farm. The kids loved playing outside all day long, holding kittens, and practicing their driving skills on the riding lawn mower. Holly and I went for a walk everyday, and found time in the afternoons to journal. On the road trip, we listened to an audiobook recommended by a good friend of ours, called Essentialism. It is mostly a business/leadership book, but has some significant applications for every area of life. (You can find reviews/summaries here and here and a reflection from Michael Hyatt on it here.) The book was catalytic for Holly and I to clarify what is truly essential to each of us in terms of both life purpose and daily focus. We spent time talking and journaling about what to whittle away from our activities, what matrix to use for saying yes and no when deciding on a variety of things, and what things/relationships we need to spend more time investing in. I think the Holy Spirit used this to bring clarity of focus for church, and for our work and home life in the season ahead. It was a way of helping us act on a few things spoken over us in a few prophetic words before we left on sabbatical. After the farm, we drove down to Kansas to meet Holly’s sister and their family for a couple days. Lots of fun and play. Then, the long, monotonous drive home on I-70! After unpacking, doing laundry, and repacking at our home, we headed up to the mountains, courtesy of some generous friends who allowed us use their vacation home. Our time was shaped by a daily rhythm that usually included morning devotions, a family activity (a hike or bike ride), and afternoon quiet hours to read. We also met a few friends for a camping trip, which was renewing in a special way—though not at all restful! Midway through week 4, I picked up a theology book for the first time all sabbatical. I read the classic work on sacramental theology from Orthodox theologian Alexander Schmemann, For the Life of the World. The book as a whole is tremendous, but the first two chapters alone are stunning. Next, I moved on to John Barclay’s excellent new book, Paul and the Gift (a 3-part summary is coming on my blog next week). After coming home from the mountains, I left the next day on a silent retreat at a Jesuit retreat house in Sedalia, Colorado. It is an amazing place, set in a beautiful area. Silence was difficult—I made it 8 hours before caving and calling Holly from my car!—but I persevered, spent the night and came away the next day at noon with 12 pages of journaling prayers and reflections! I heard the Lord speak on some crucial things in my life. Though I was asking for a few specific answers, the Lord only gave Himself as the answer, calling me more to Himself than to any particular task. Like Peter after the resurrection, I sense that the Lord wants me to follow Him not a particular task or assignment. I read some written prophetic words that had been given to us, prayed over them, and over our family. During the final week of sabbatical, I felt ready to create. Not toil, but create. To bring to order the work the Spirit had been brooding over in my heart and soul over the summer. Words have the power to bring order and meaning; this is the essence of the logos. So, for me, it was time to write. I began by writing a summary of Barclay’s book. Then, I began working on a project which I hope to share more about soon. Unexpectedly, I also wrote new worship song, capturing—I hope—bits of what I had read and what the Lord had highlighted to me. I’ll share that at some point too. Much of the work the Lord did in me personally, in our marriage, and in our children is too sacred to share publicly. One of our children had a key moment in their journey of faith, inviting Jesus into their heart to make them new and to reign. It was a beautiful and powerful moment. There are choices we are making and rhythms that we are building into our lives for the Fall that we hope will reinforce the ‘target’ the Lord has set before us. If I were to pick a word or two to sum up the work of the Spirit in me, it would be focus and intimacy. Focus, because of the need to clarify, to unite my heart, to simplify my pursuits; intimacy as in, with Jesus as my first love, with my wife as her covering and husband, and with my children as their shepherd and father. But in order to nurture these things, other things must be removed or thinned out. As I mentioned, I was completely off all social media. Other than a few glances in at the beginning of week 1 (detox is real! ), and in week 6, I did not check Twitter, Facebook, or Instagram at all. And I learned some things. I learned how little time I give myself to think and create without the noise of other voices. I learned how quick I am to offer opinions and commentary. I realize that I had been turned into a press secretary and not a priest, feeling the need to comment on social issues rather than to be present and to listen. I want to return to these social spaces differently. But I am nervous to even re-enter. I know how easily obsessed I can become. I may leave the apps off my phone. I may limit the times of day to check. I want my mornings and evenings to be different. No big public declarations or manifestos; I’m just going to quietly make some changes and trust the Lord to help them take root. I want my life to bear fruit. That means nourishing the roots—intimacy. It means taking time to prune, not investing time and energy in things that will not be fruitful—the grid of ‘essentialism’, and a necessary nervousness about social media engagement. I want personal attentiveness and deep engagement in reading and writing to mark this next season.